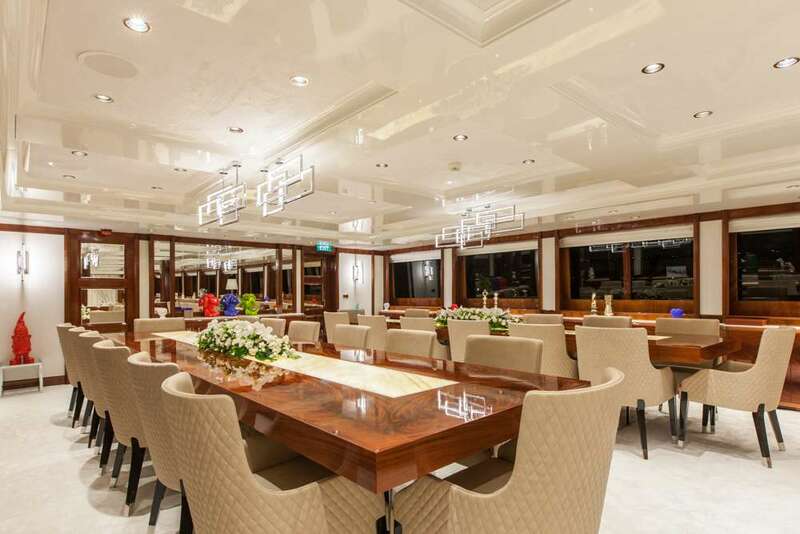 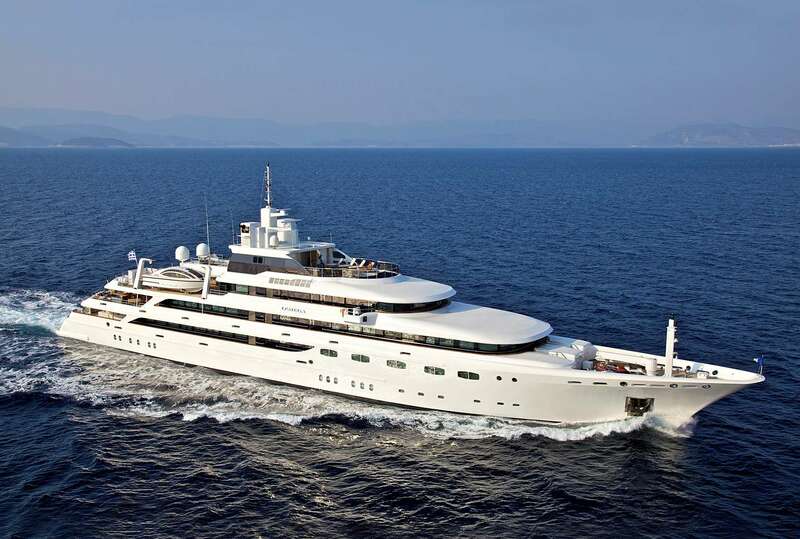 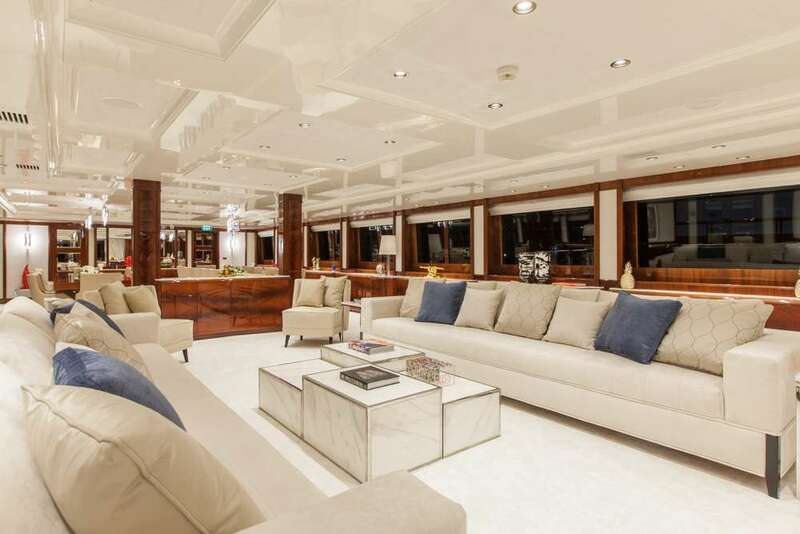 Defining the benchmark of luxury and sophistication she is ranked among the world�s largest mega yachts. 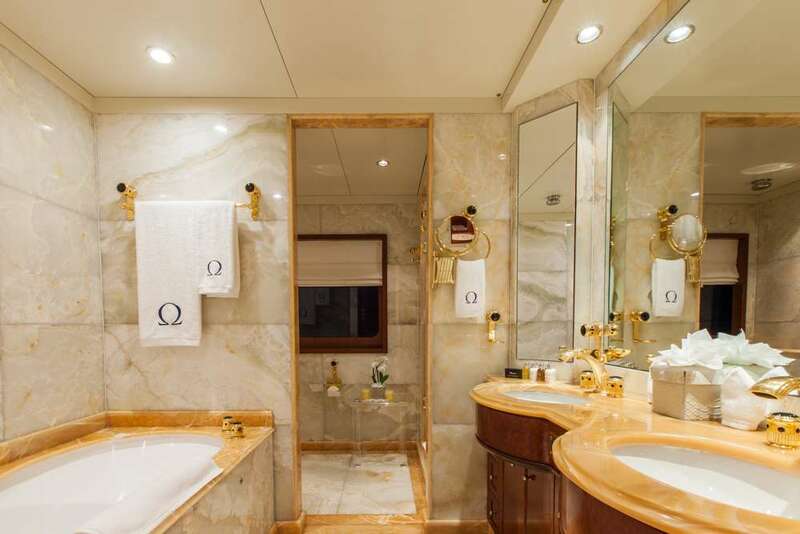 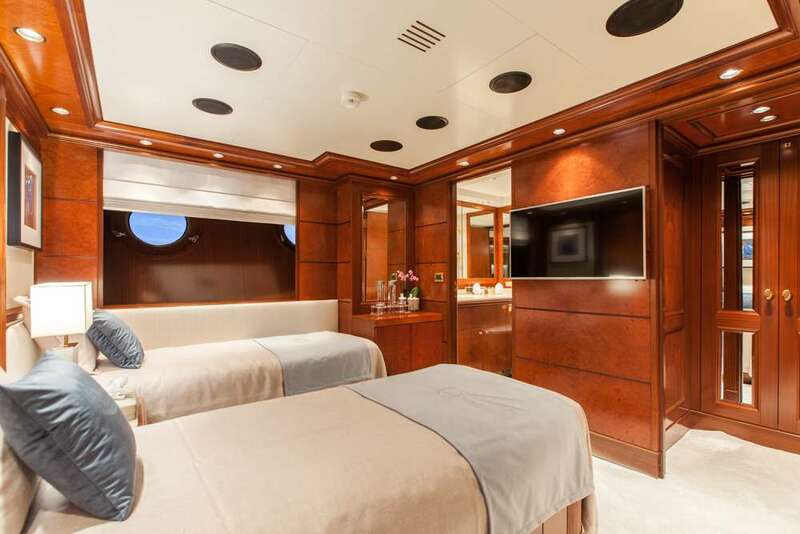 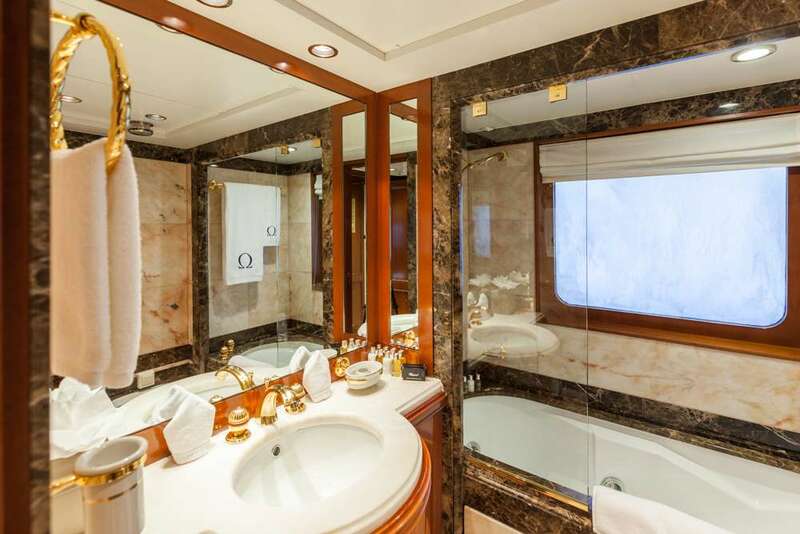 Her sophisticated style, unsurpassed comfort and gracious service await you on board O�Mega. 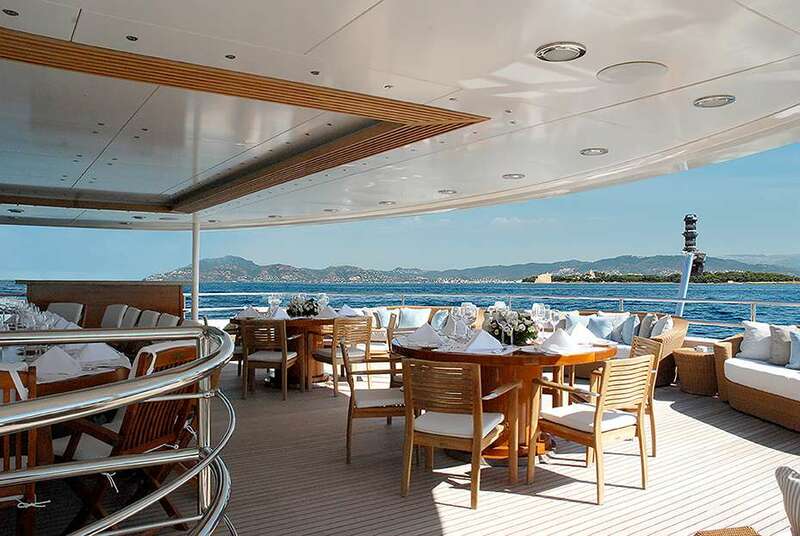 Experience the world from a legendary perspective at 82.5m in length and with five guest decks, her classic and graceful lines ensure that she is one of the most elite charter yachts in the world. 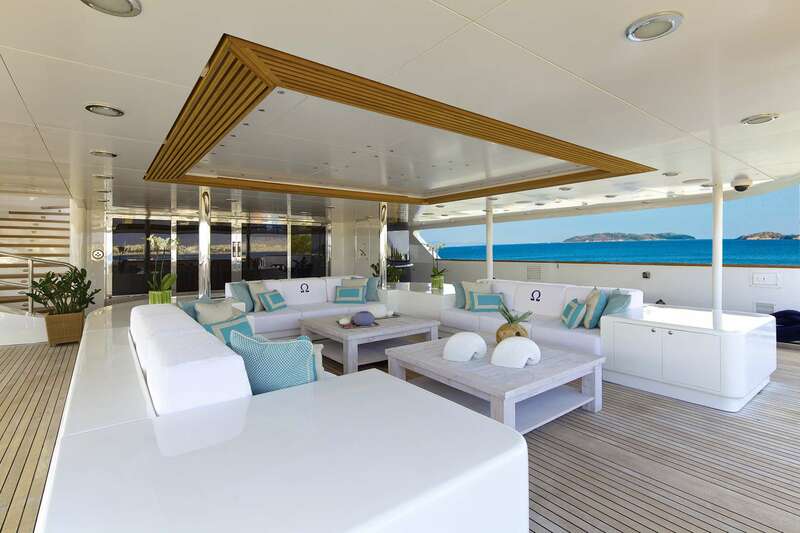 Together with our highly professional and dynamic crew of 30 the O�Mega offers a stylish and sophisticated experience that will remain with you forever.